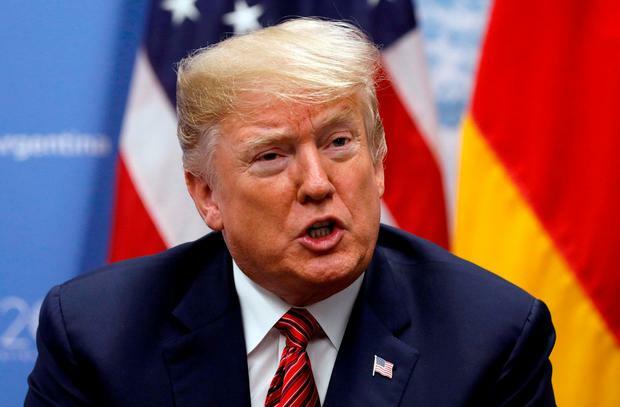 US president Donald Trump pulled the United States out of the Joint Comprehensive Plan of Action (JCPOA), but he has no apparent substitute for containing Iran's aggression. Here in the US, we are isolated from our European allies. Trump says he wants to pull out of the North American Free Trade Agreement, but Nafta 2.0 is not ratified (nor is it likely to be), and in any event it isn't dramatically different from the original. We're out of the Trans-Pacific Partnership but not out of a trade war with China (although tariffs are not rising quite yet). Trump met with North Korean dictator Kim Jong-un, declared the nuclear threat gone, and wants to meet again. North Korea, however, has not shown it is prepared to denuclearise. Trump pulled the United States out of the Paris Accord; the other world leaders are meeting in Poland to discuss steps forward without the United States. Meanwhile, the climate change problem becomes more urgent with each passing year, according to the administration's own report. Let's be blunt: The only significant foreign policy "achievements" Trump can claim are eviscerating the US's reputation as a reliable ally that defends human rights and giving autocrats the impression they can get away with murder (and dismemberment and more) without paying any significant price. This is an administration that can claim not a single substantial foreign policy achievement. We are arguably less influential and more isolated than we were when Trump took office. This is what comes from nationalistic know-nothingism, from deploring the very institutions and relationships that have kept the US from world war and spread prosperity since the end of the World War II. It's what flows from a foreign policy that amounts to a series of discrete gestures to please his base (move the embassy to Jerusalem, get out of the JCPOA and Paris accord) but lacks an answer to the question that follows each of these moves: What next?